The initial agenda (still draft and working 31 March 2015) for the ceremony, expected to last about 45 minutes, will include , opening remarks, invocation prayer, the reading of the Squadron activation orders, uncasing the Squadron colors by the 1st Cav Division Color Guard and (TBD) 1-9 CAV veterans that participated in the 3 July 1965 activation, presentation of Colors, opening remarks, speakers (TBD) at least two 1-9 CAV Veterans that participated in the 3 July 1965 ceremony and a recent/ former 1-9 CAV Commander, Mounting/unveiling plaque recognizing the 50th Anniversary, closing remarks, 1SG Trooper roll call (Vietnam to Iraq), benediction, 21 gun cannon salute, a 1st Cav Division bugler playing TAPS, possible UH-1 HUEY flyover (big challenge to find) posting of Colors, conclusion of ceremony. Refreshments afterwards on location. We will send out an initial email to everyone on our lists but we would like those who know others not on our lists to forward the information presented here. We have a special Gmail account for RSVPs and information (1stSqdn9thCav50th@gmail.com). You must RSVP by email, letter or phone by June 5, 2015 to reserve your attendance so that we can properly plan for transportation (for Bullwhip members) reserved seating (for members and Active Duty current or former HEADHUNTERs) and refreshments. Troopers that contact us and plan on attending will asked to provide contact information and Squadron affiliation information (dates served, units, duties and if you can a picture of you when you served your tour/assignment). Your information will not be shared with any other organization or commercial entity and will be used for attendance planning and historical record keeping. No email, phone or address (except for city and state) information will be retained. There will be no costs for attendees or registration fees. 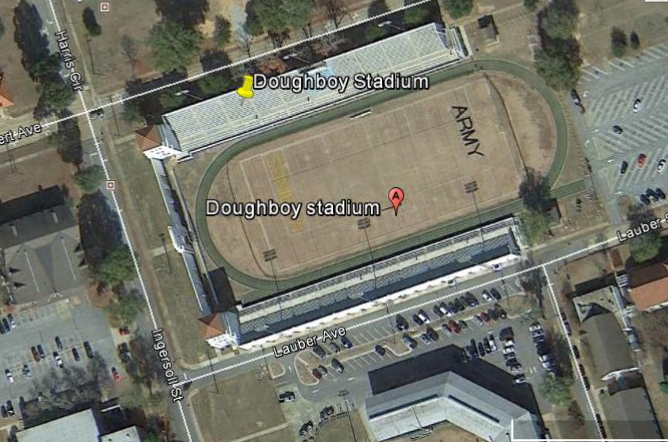 Doughboy Stadium will have ample seating for anyone wishing to observe the ceremony and access will be open following Fort Benning operating procedures. For those that register we will provide information regarding Army and Fort Benning security/access requirements. For non-retirees access normally requires stopping at one of Fort Benning's access points and providing license and insurance information. Troopers that are not Bullwhip members and served in 1-9 Cavalry or 1-9 MECH veterans are welcome as well as veterans that were attached to 1-9 CAV (H Company 75th Rangers for example) but we cannot guarantee covered seating for non-Bullwhip members. Any 1-9 CAV veterans that need handicap access will need to notify us so that they may have reserved appropriate seating available. 1stSqdn9thCav50th@gmail.com For those that don’t have email we will mail invitations and info. Unfortunately this will be the last official Bullwhip function as the association will have exceeded its Mandatory Retirement Date (MRD) and will retire shortly after the completing dissolution documentation and administrative requirements. The BWS website will remain in limited operation until Jan 2017 for limited contact capabilities and archiving member pictures and documents that they may want to be sent to future 1st Cavalry Division Museum.